Even though the Nokia Lumia 520 is a low-end device, or maybe because it is, the model has been a hot selling item for Nokia. The variant of the phone branded with the T-Mobile name, the Nokia Lumia 521, has been such a big winner in the states that it sold out at HSN, T-Mobile and Walmart. In Europe, the Nokia Lumia 520 has helped the Finnish based OEM account for a 10% market share in the U.K. According to Kantar WorldPanel, this is the highest share of the U.K. smartphone market that Nokia has owned since April 2011. More on that below. The Nokia Lumia 520 accounts for 12.4% of Windows Phone handsets used in the U.K. putting it behind the Nokia Lumia 800 (16.1%) and the HTC 8S (12.8%). Times are tough all over and the U.K. is no exception. The high end Nokia Lumia 920 was able to capture just 9.6% of the Windows Phone market, swamped by some of the lower cost models. Nokia is on the rise in the U.K. The last time Nokia had over 10% of the smartphone market in the U.K. was in 2011 when Symbian had an 11.7% share of the U.K. market followed by 10.7% in June 2011. Now that Symbian's take of the smartphone market in the region is down to .1%, Nokia's market share is a valid substitute for Windows Phone which means that Microsoft's mobile OS is picking up steam in the U.K., although it is well behind Android which has collected the lion's share of smartphone buyers on the continent. According to Kantar WorldPanel's stats for May, the latest data they have released for the area, Android owns 56.6% of the smartphone market followed by the 29.9% belonging to iOS and the 7.8% belonging to Windows Phone. That is up from the 4.1% that Windows Phone owned in May 2012. Yes you can do it nokia, you can defeat ios in uk. It's Android we need to hope WP chips away at. Android is in danger of becoming the defacto standard, so we need to balance the books a bit by taking some share from Android and giving it to WP. Good thing here is with WP they get to sell higher margin products like 920, 820. With Symbian most of them are low to mid range phones and most of them cost less than Lumia 520. 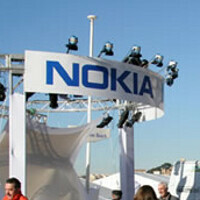 Its good for Nokia financially. Sorry, WP and Nokia haters: Maybe they are light years from challenging the big two, but neither is going anywhere anytime soon. 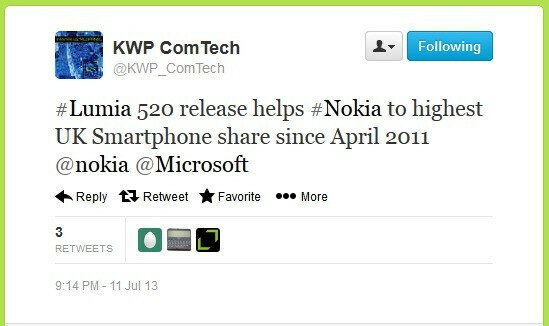 Well done Nokia thoroughly deserved....now just sack elop and I guarantee my next phone will be a Nokia! So you won't buy a Nokia because you don't like their CEO? What has he ever done to you? I mean I understand that for a CEO like Steve Jobs, because so much of the compaines identity was tied to him, and he was kind of a douche. Slowly and steadily coming back.